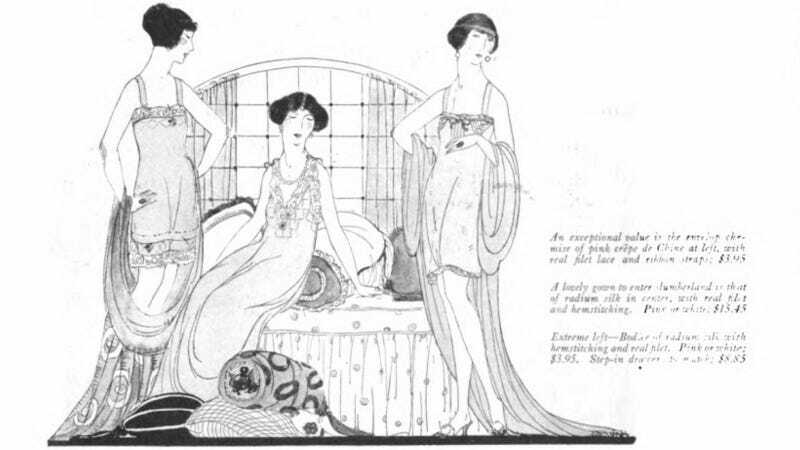 Behold a spread from the January 1922 issue of Good Housekeeping, headlined, “Quality and Price Meet on Equal Ground in These Models from the January White Sales.” Seems it was a great year for discounts on lingerie. More importantly: these ladies look like they’re having a great time. So glamorous! So languorous!